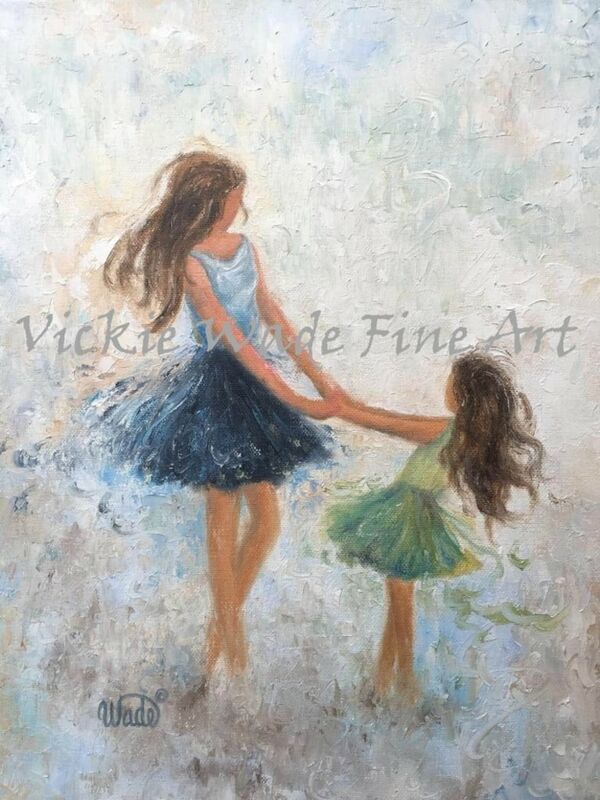 "Mother and Daughter Twirling" is a large fine art print of an original oil painting of mine. 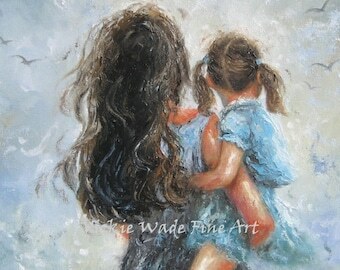 * Image size 9" X 12" printed on 11" X 14" heavyweight smooth cover paper. * Ships in a protective cello sleeve rolled in a sturdy tube for a safe delivery. 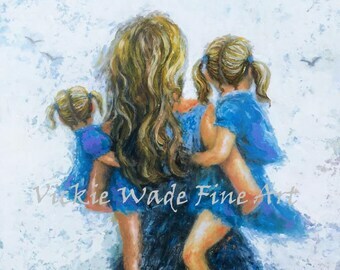 Vickie Wade's prints are adorable! 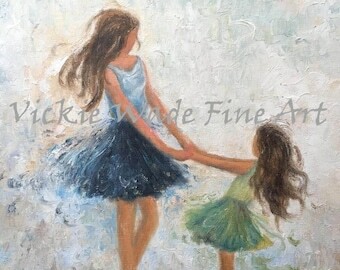 This is one of three that I have, and I love them all. 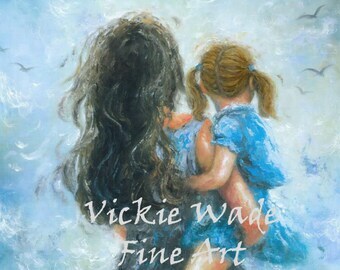 They arrived safe and sound in a shipping tube, and they look great on my walls. 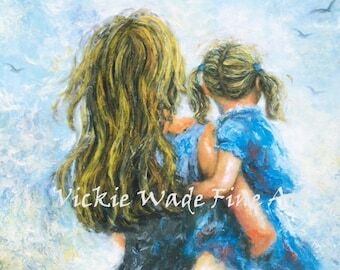 Mother Daughter Art Print, mom daughter hugging wall art, mum daughter, brunette mother daughter sitting in meadow hugging, Vickie Wade Art.